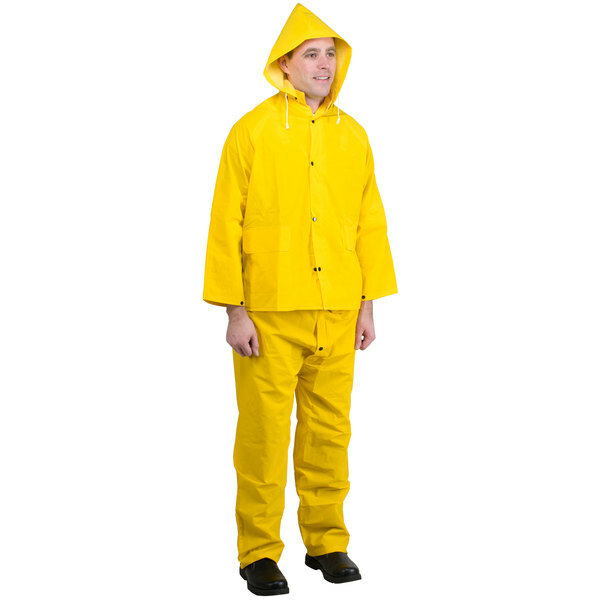 What size rain suit do I need? 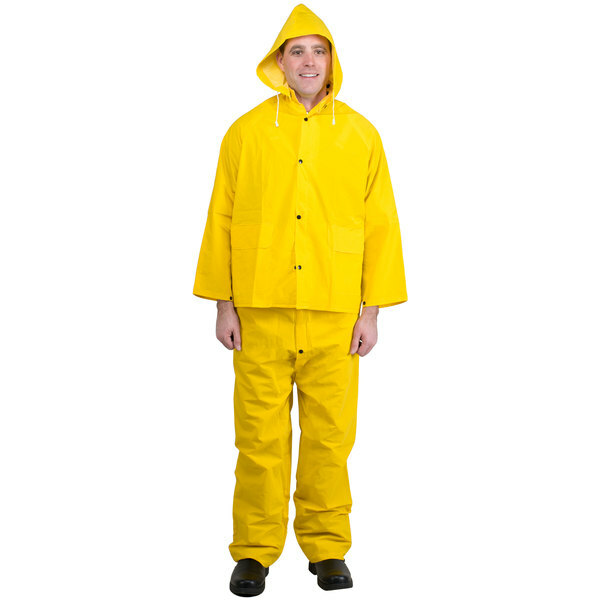 The sizing chart below will show you what rain suit size corresponds to your waist size. 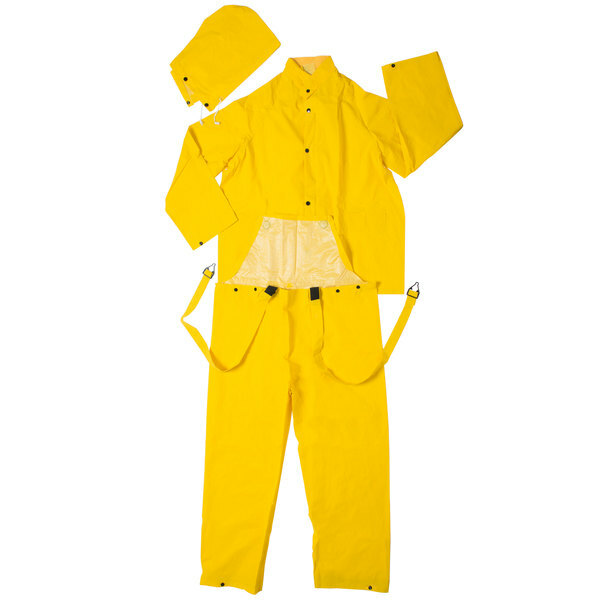 Protect yourself against rain, sleet, and freezing rain in this three-piece medium yellow rainsuit! 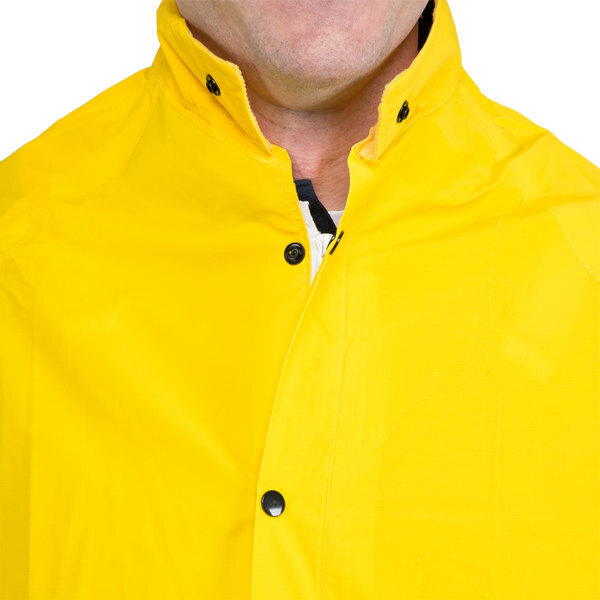 Each rainsuit comes complete with a yellow jacket, bib pants, and a hood for maximum coverage. 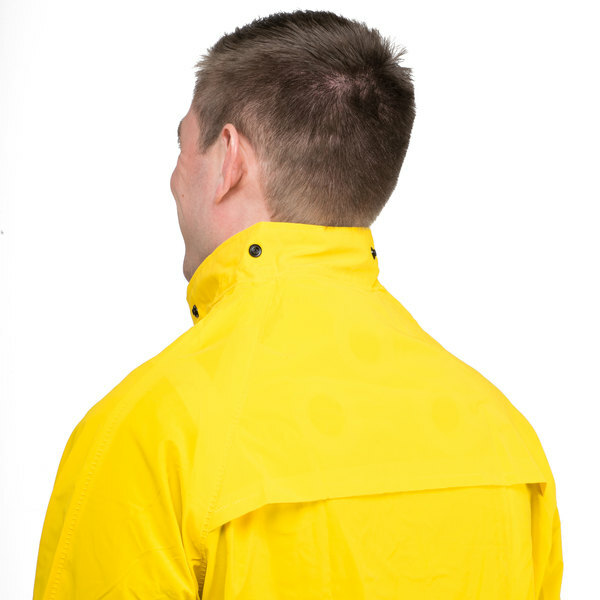 The jacket features a dual zipper / snap button closure so you can ensure it stays in place even under windy conditions. 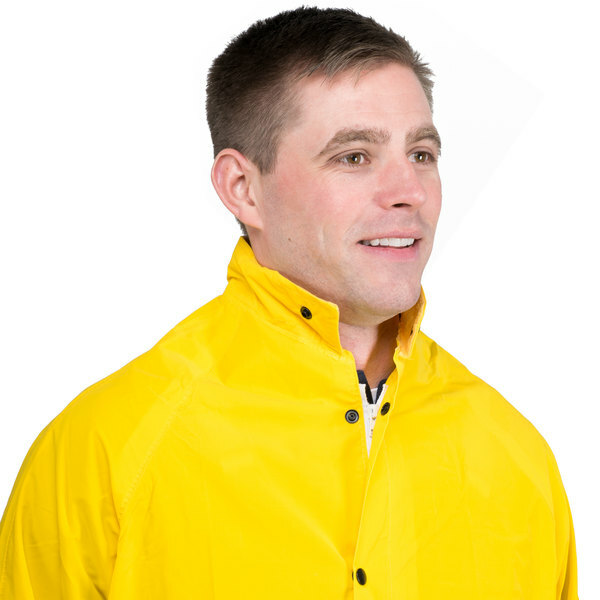 A corduroy collar and a detachable hood on the jacket help keep you extra-dry. 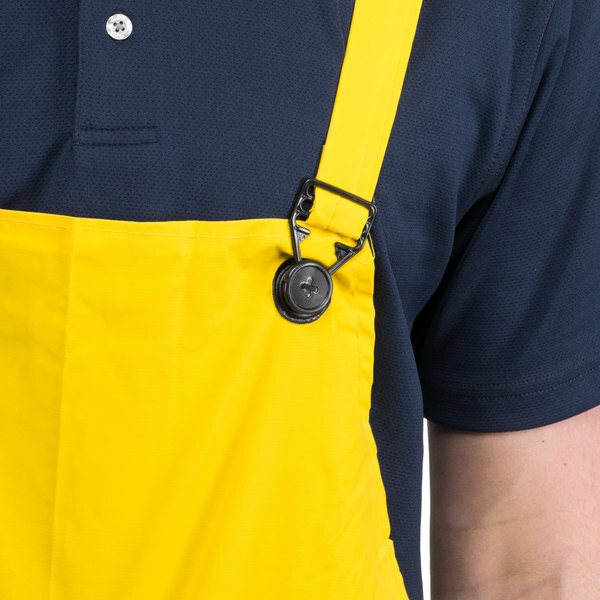 Plus, a ventilated cape back and underarms allow the material to breath for added comfort. 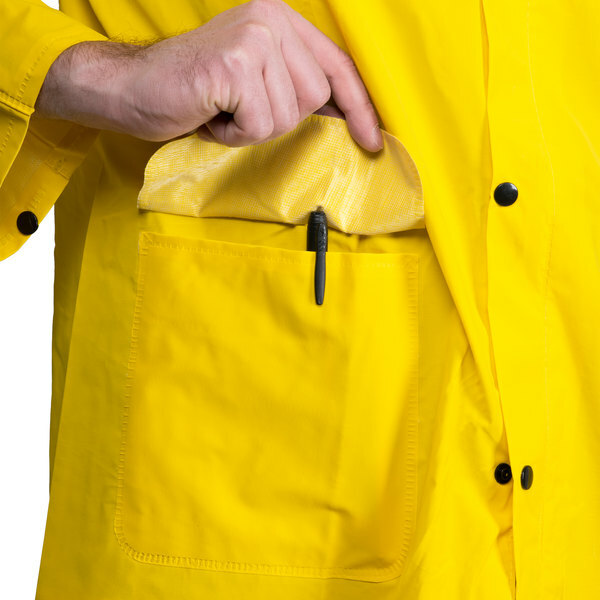 The two flapped pockets are great for keeping personal items protected as you work. 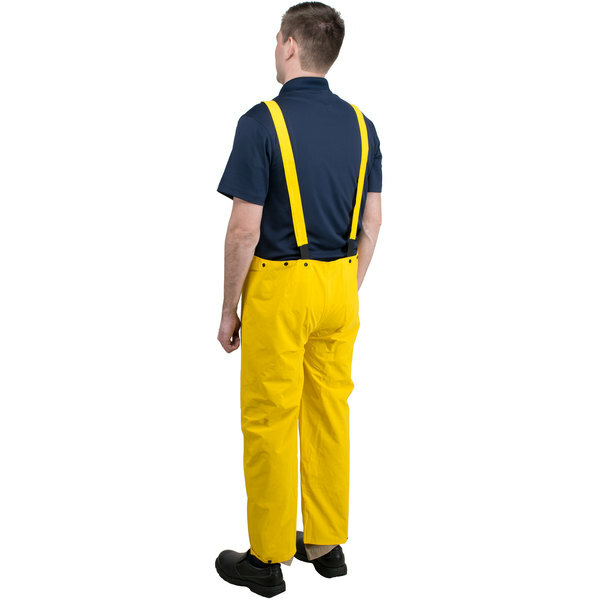 Matching fly front bib pants feature adjustable suspenders for a great fit all day long. 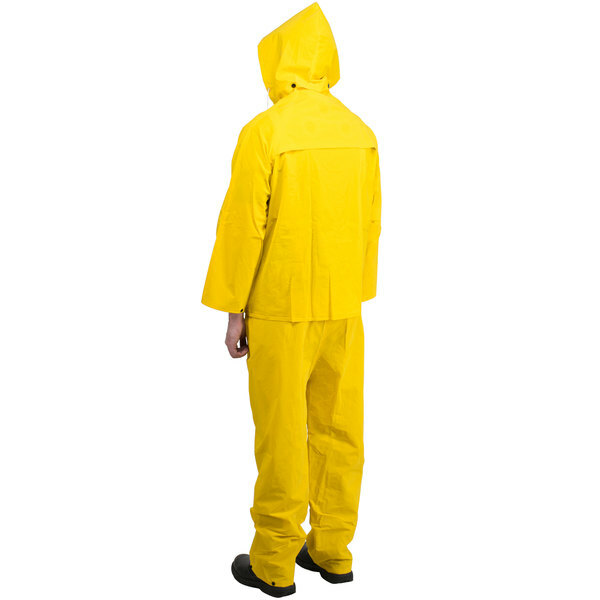 Boasting a bright yellow color, this rainsuit ensures that employees stay safe and dry through the work day! 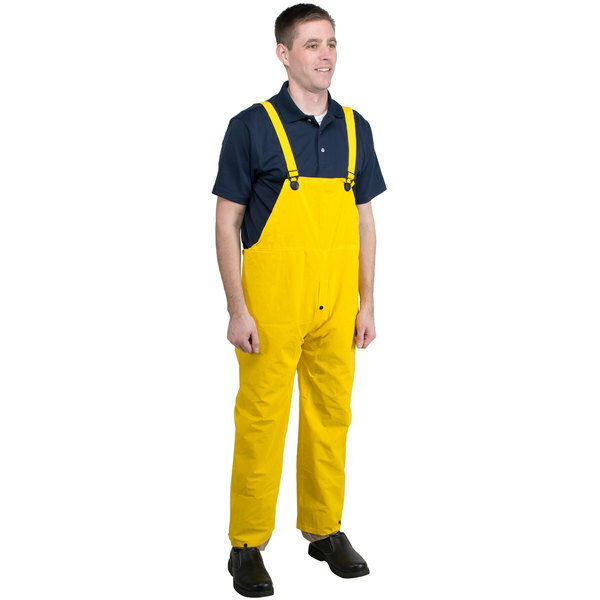 It's perfect in a variety of environments, including agriculture, utility, construction, and clean-up applications.